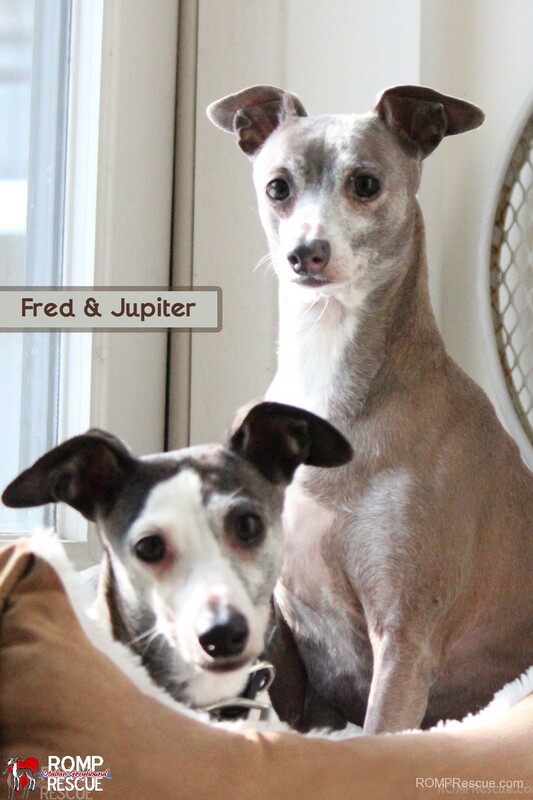 If you are looking to adopt an Italian Greyhound be sure to check out Fred & Jupiter. Fred (black/seal and white) & Jupiter (blue/sable) were surrendered by their owners, though no fault of their own. They are very loving half brothers (same daddy) and lived together their whole lives. Fred is a biggie iggie weighing in around 25lbs and quite a bit taller than Jupiter, both boys are very social, are accustom to pottying outside, and know a few commands too like sit and no. 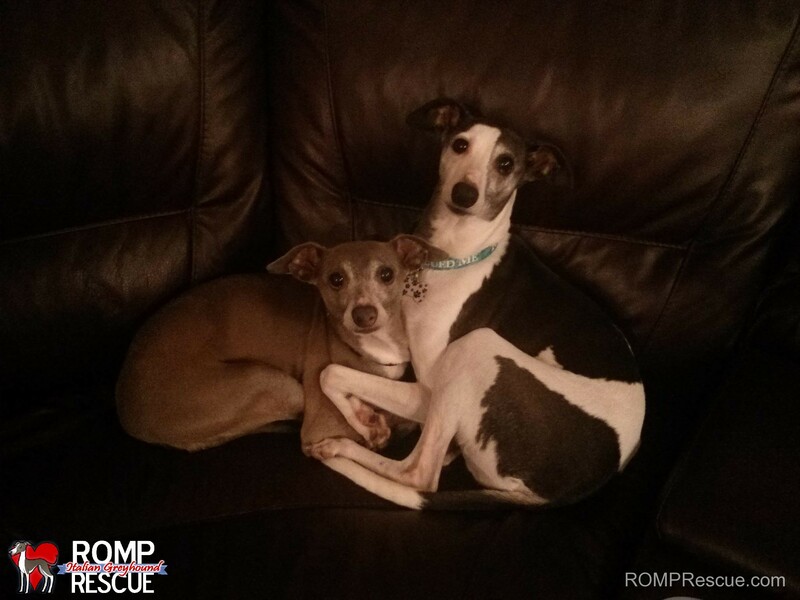 They are 9 years old, love to snuggle with each other and with their humans, would appreciate snuggling in bed with their new family, and are generally easy to please. 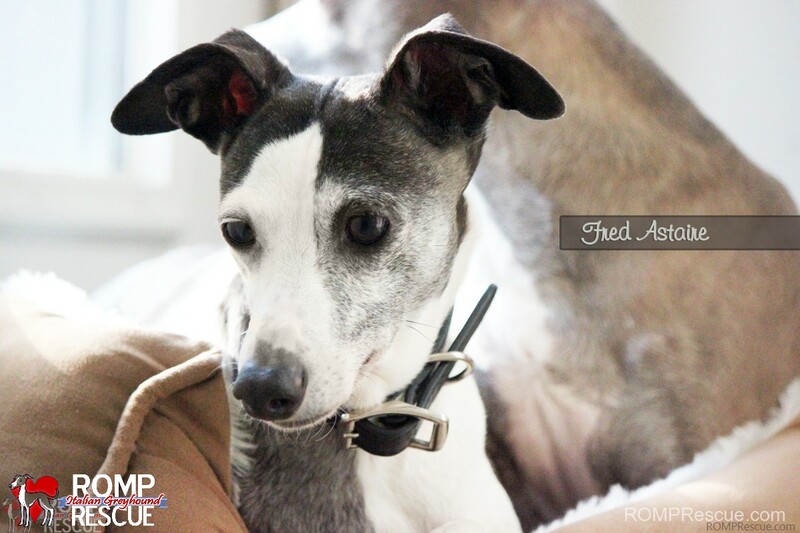 Fred is a little more outgoing of the two, he also can jump really high, loves lots of attention and enjoys exploring the world around him. 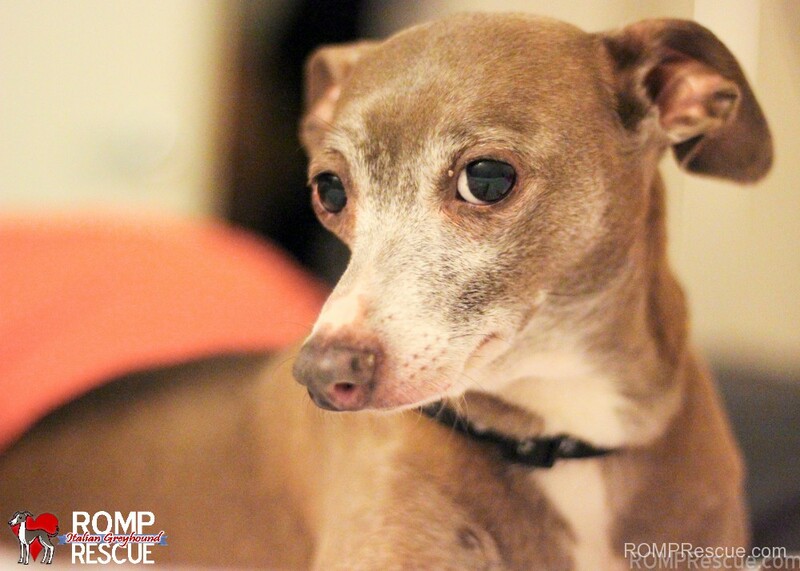 Jupiter is a bit more reserved, about as carefree as they come and loves his lounge time. They do well with children (over the age of 7) and other dogs. They wanted me to tell you that they love each other so very much and hope a nice family will adopt them together so they can live out their lives in each others company being surrounded by love! 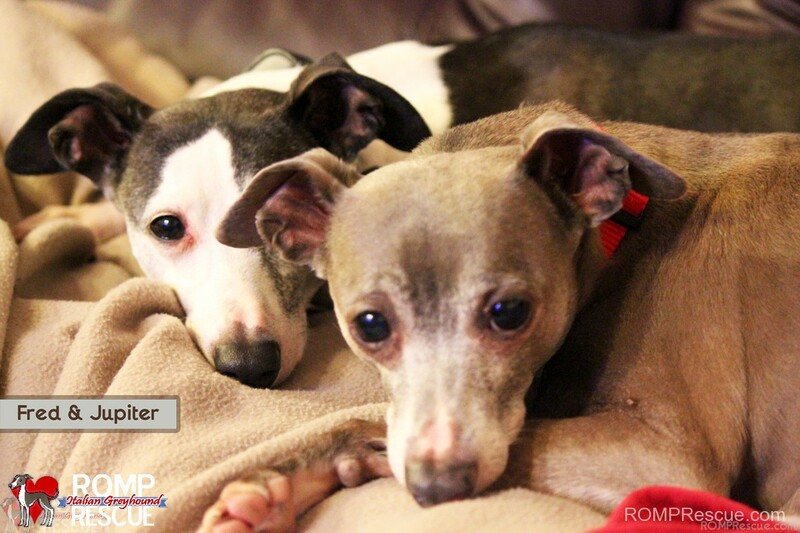 These brothers are well behaved and sweet as pie, they are looking for a family to share their love with and receive some pampering – will that be you? In return they promise to love you forever, give you lots of snuggle action, and enlighten your life for years to come! 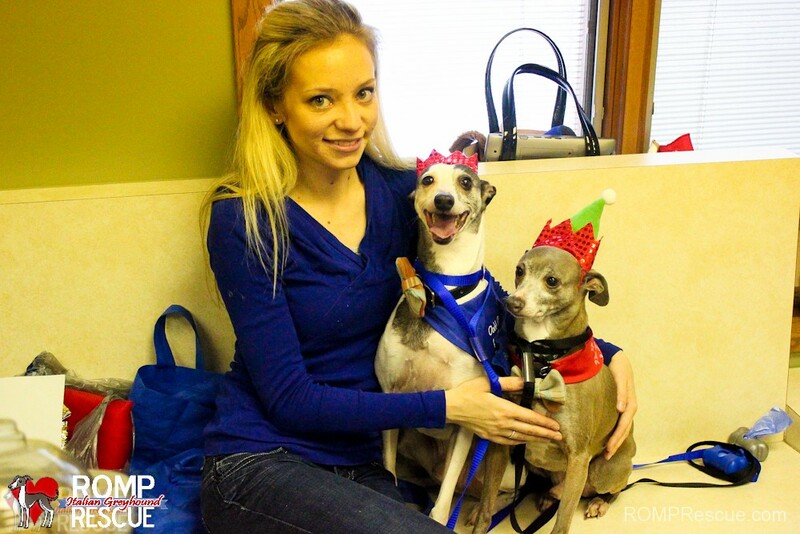 They went to an Adopt an Italian Greyhound / holiday party at our rescue’s vet and were a big hit! 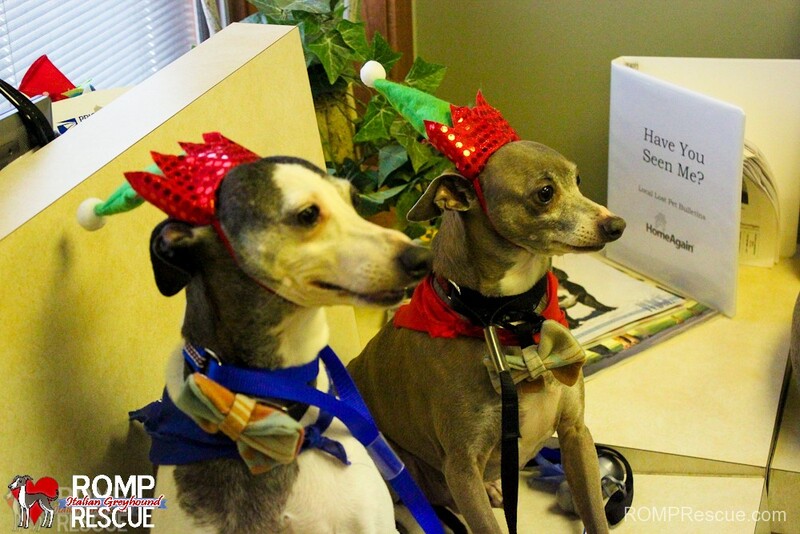 They wore those Christmas hats the ENTIRE time! What well behaved boys! These are Jupiters bedroom eyes. We sometimes call him Juju for short. Fred wants you to kiss him there, on his nose. They really enjoy snuggling together. 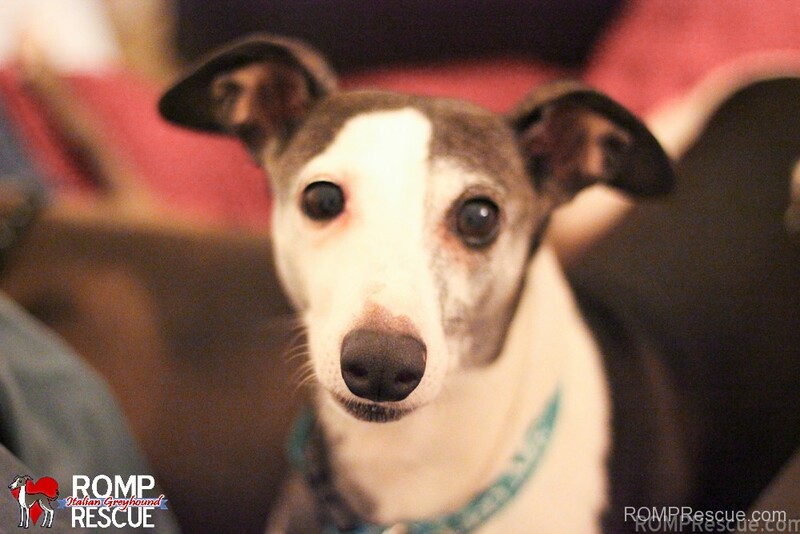 This entry was posted in ALL and tagged Adopt an Italian Greyhound, ann arbor, biggie, biggie iggy, biggy iggy, brothers, chicago, detroit, donate, fred, igca, iggies, iggy, illinois, indiana, jupiter, littermates, MI, michigan, new buffalo, rescue, romp, shelter, siblings. Bookmark the permalink. 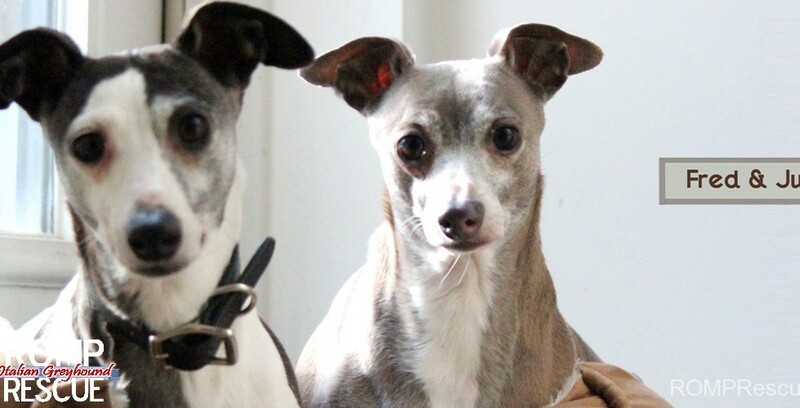 I want to adopt an Italian greyhound. How do I go about doing it?? Preferably an adult.